We typically visit 4 of these iconic houses on a tour, and spend approximately 30-40 minutes at each. These could be anywhere in the central or western area of Singapore, but usually Goodwood Hill, Malcolm Rd, Mount Pleasant, Alexandra Park, Nassim Rd or the Bukit Timah area. The majority of these houses are private dwellings which cannot normally be accessed. We travel by air conditioned bus and our guide will explain the general background to Black and White houses including their history and architecture, and point out examples en route. Refreshments are served at either one of these houses or at an “interesting venue” such as the Polo Club, a black & white café or a specialist coffee house. Dempsey Road is an easy place to get to by taxi or bus and anyone driving can take advantage of free parking there. In addition to exploring on foot the Emerald Hill “enclave”, we typically visit the nearby Guan Yin temple and 2 or 3 houses in Emerald Hill, where our guide will point out their individual features. Time permitting, we may visit the Singapore Tourist Board office at the top of Emerald Hill. 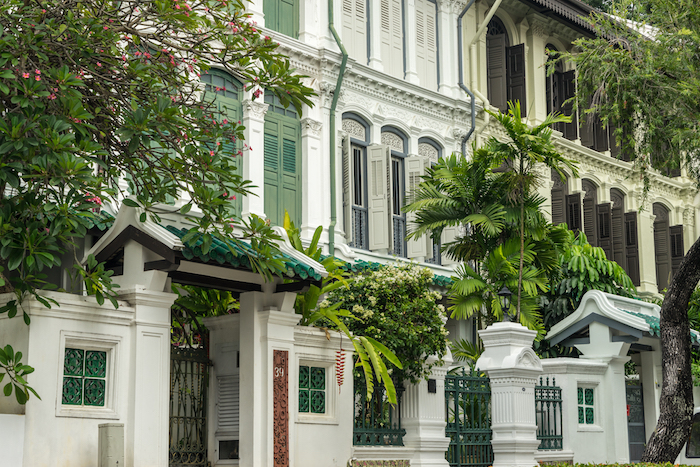 We may also pop into one of the popular Emerald Hill bars, but just to take a look! Refreshments are served either at one of our hosts’ homes or in a nearby coffee bar. 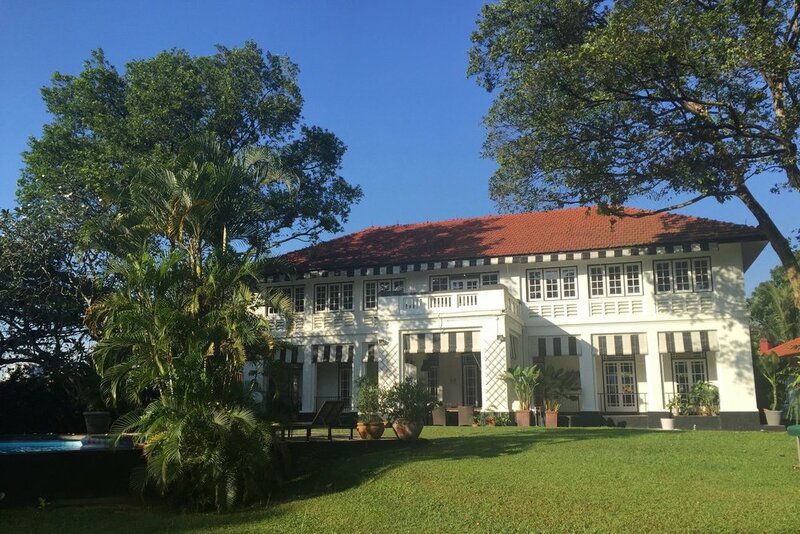 9:20-9:35am: Welcome to Emerald Hill; our guide will explain the background its history, firstly as a nutmeg plantation, then as a residential area and in more recent times as one of the most popular – and picturesque – places to live in Singapore. 11:15-11:45am: Walk down alleyway between Saunders Rd & Emerald Hill Rd, and then along the other (right hand) side of Emerald Hill Rd. As with the Black & White houses described above, the majority of these houses are private dwellings which cannot normally be accessed.